Welcome to Trace Software Your offshore resource partner. Our offshore development center has the right a mix of certified developers, architects, designers, project managers and QA for best quality application development and support. Build your digital world beautifully which everyone will love! Generally, your customer’s first experience of your company is through your website, so you have to make the most of it. Once our strategy is set, we work hard to design engaging website to build brands and create a lasting impression on your customers. From concept to mock-up and then to product, we will work closely with you throughout the process to deliver the product you dreamt about. We eat, drink, and breathe website development or can say offshore development for creative marketing and digital media companies. We are a rare breed of web developers partnering exclusively with creative agencies, consultants, and marketing companies across the spectrum. 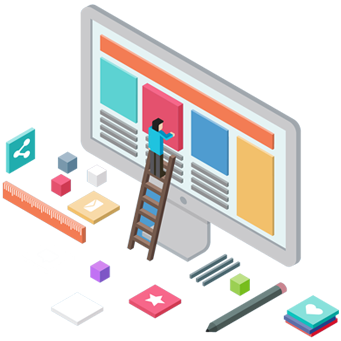 Inimitable concept creation, strict time management, ingenious execution and effective cost management are plinths of Trace that enables the company to deliver top-notch offshore software development services. We, as an innovator design, build scalable, robust, feature-rich mobile apps with interactive and user-friendly interface. Testing is an essential and unavoidable part of every service. Without Testing and Quality Assurance a service cannot be offered in the market. The extent of a service and its products being faultless depends entirely on the testing team. At Trace, Offshore development is our specialty and we maintain global standards in process and policy implementation while delivering projects fast and seamless! Connected to every client, our development center provides 24×7 communication. Collaborative partnership is our mantra. Working in concert with your team, our experts will create a customized strategy to fully support your web development needs. Trace started its operation in the year 2003. We work in Consultancy Practices, offshore development, Software Products Development and Customized Solutions for various industry verticals, with special focus on Financial, Healthcare sectors. By focusing on its core strengths and the underlying values this company has created Niche for itself in the ever growing IT market place. An established IT service company, with a rich experience of over 10 years, in developing products , bespoke software & applications for the desktop and the web. Trace is managed by experienced directors who have rich experience in the field of Software Development and Export.